The Solomon Island Spiny Monitor, found on the small island change of the Solomon Islands, has distinguishable yellow spots that form a V-shape on their back. Preferring the low, mangroves of the island, these carnivorous animals eat crabs, insects, fish, and mice. 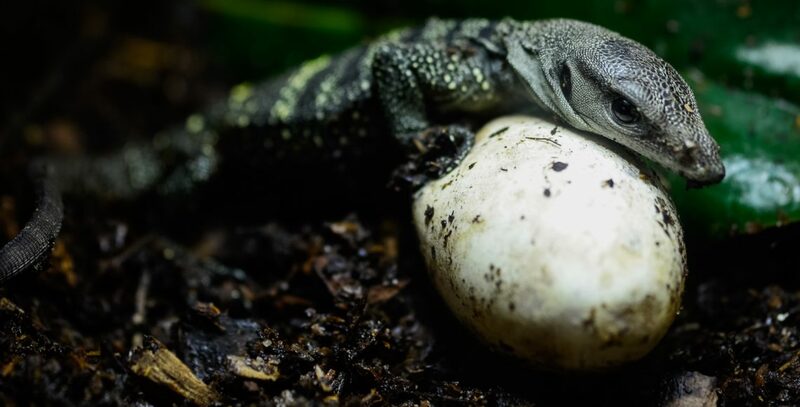 The Solomon Island Spiny Monitor is also called the “Spiny Neck Monitor” because their necks are noticeably bigger than the Mangrove Monitor, their close relative.